Though the AICC is yet to take a call on Rahul contesting the elections from Wayanad, senior Congress leaders from the state confirmed to Express that Rahul will contest the elections from Wayanad. THIRUVANANTHAPURAM: The AICC has not taken a final decision yet on party president Rahul Gandhi contesting the elections from the Wayanad constituency. 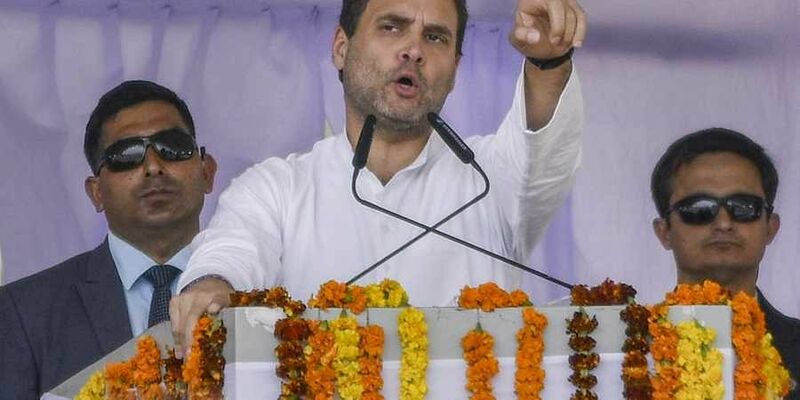 AICC spokesperson Randeep Singh Surjewala told reporters in New Delhi Pradesh Congress Committees(PCC) in Tamil Nadu, Karnataka and Kerala had invited Rahul to contest the poll from their respective territories. However, senior Congress leaders from the state confirmed to Express that Rahul will contest the elections from Wayanad and that a formal announcement remains a mere formality. AICC general secretary Oomen Chandy told reporters the state Congress has unanimously requested Rahul to contest the election from Wayanad. It may be noted here it was Chandy who had announced, the other day in Pathanamthitta, the Congress chief will contest the polls from Wayanad. Senior leaders remain tight-lipped on the date of announcement of Rahul’s candidature and Congress sources told Express it may be announced in a couple of days. UDF allies IUML, Kerala Congress(Mani) and RSP are also upbeat on the candidature of Rahul Gandhi.